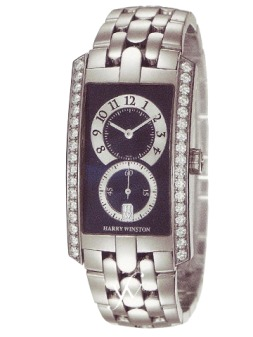 Harry Winston is one of the biggest and most well known jewelry companies in the world. It wasn't until 1989 that the brand introduced its first collection of watches. In 1994 Ronald Winston creates the Galatea watch, a unique watch made of solid rhodium. That year also brings the invention of the Biretrograde Perpetual Calendar. The Opus WatchesThese limited edition watch were first introduced in 2001, created in partnership with talented independent watchmakers they are known for their beauty and technical achievement. The latest in the series, the Opus 8, features a one-of-a-kind digital hour and vertical minute display run by 437 individual mechanical parts. This watch is limited to just 50 pieces.